Lake Opeka offers a myriad of fishing, sailing, and boating opportunities for all ages, and has been a popular destination for over 50 years. 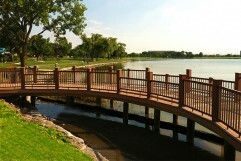 Lake Park Marina is open every year from April 1 through October 31. Sailing and boating are always weather dependent. Please call the Clubhouse, 847-391-5730, for updates on weather related closings. Fishing is allowed daily, from 6:00am until sunset. 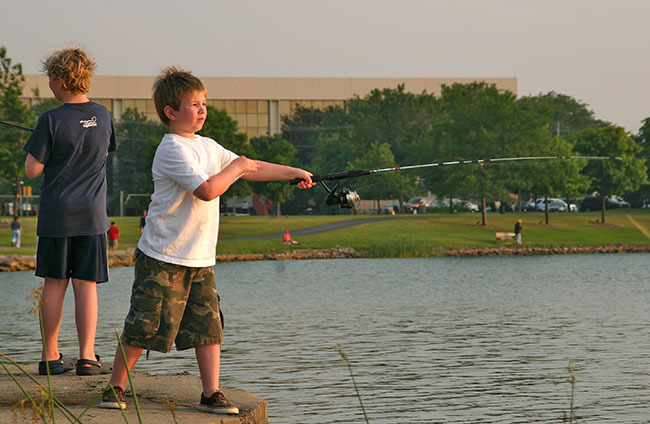 While a Des Plaines Park District fishing pass is no longer required, Cook County and State of Illinois licensing requirements still apply. For the health of the lake, and to respect your fellow fishermen, please follow all posted fishing rules and creel limits. The park district has 11 Paddle Boats available for rent at the Lake Park Marina, including one that is ADA compliant. Each boat seats 4 people. Come into the clubhouse, fill out the form, and off you go! These simple to operate boats are a favorite with families and camp groups. Cruise around Lake Opeka, along the golf course, past the volleyball courts, Optimist Picnic Shelter and the Lake Park Memorial Pavilion. 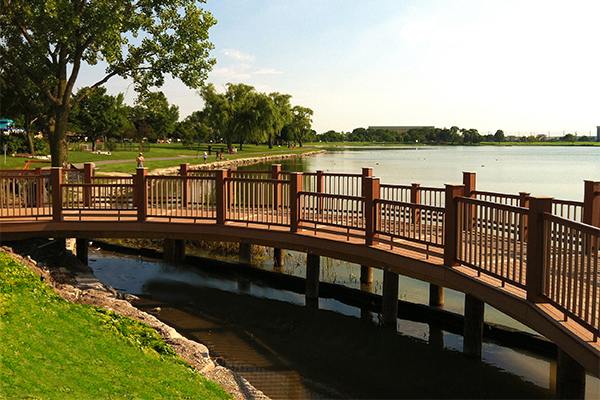 It’s a view of the park you’re sure to enjoy, including the beautiful fishing pier in North Lake Park as you head back to the marina. 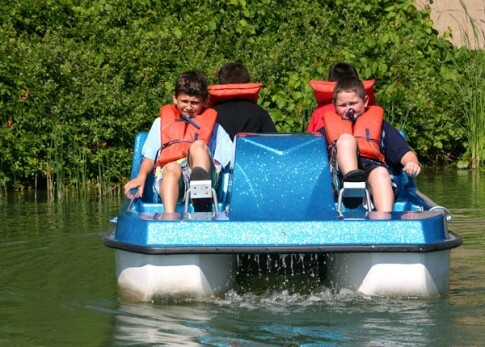 Paddle Boats are a great addition to your day at Lake Park. Group rates are available. Please call for details: 847-391-5730. Maximum of 2 people per boat. Anyone under age 18 must be accompanied by an adult 21 years or older. Boating season is April 1 to October 31. April-May 8am-dusk; June-September 7am-dusk; October, 8am-dusk. 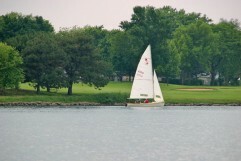 All boats must be registered in order to sail on the lake, and all boaters must sign in and out at the Clubhouse. Boaters must be at least 16 years of age or be accompanied by an adult. All moorings are reserved on a first-come, first-served basis; boaters with a mooring from the previous year have priority. Download a PDF of the form, or call the Lake Park Clubhouse staff, 847-391-5730, for more information. Summer fees include one dry mooring slip and the use of Lake Opeka for the entire boating season: April 1–October 31. Winter fees include one dry mooring slip: November 1–March 31. Daily Launch Fee: For users who prefer to pay for the use of Lake Opeka one day at a time. Annual Launch Fee: Includes use of Lake Opeka for the entire season, April 1–October 31. 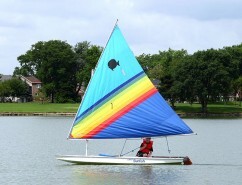 Sailing lessons, for all ages, are available throughout the season. Adult lesson are also available on weekday evenings. 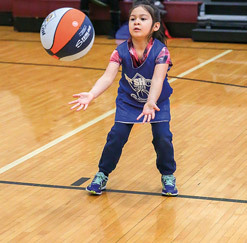 For details, please contact Tyler Fuchs, 847-803-4754. Every summer we have classes that concentrate on the basic concepts of safe sailing, and classes that are designed to teach more techniques for intermediate and advanced sailors. Each one-week camp will review what you need to know about wind direction, knot tying, and includes on-the-water practice. 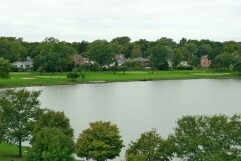 Lake Park Marina, 1015 Howard Avenue. Map and directions. Sail on with the Des Plaines Yacht Club! Regattas take place throughout the season, on Sunday afternoons and Wednesday evenings. Come join us! The park district sponsors the Annual Labor Day Regatta for sailors. See you there! 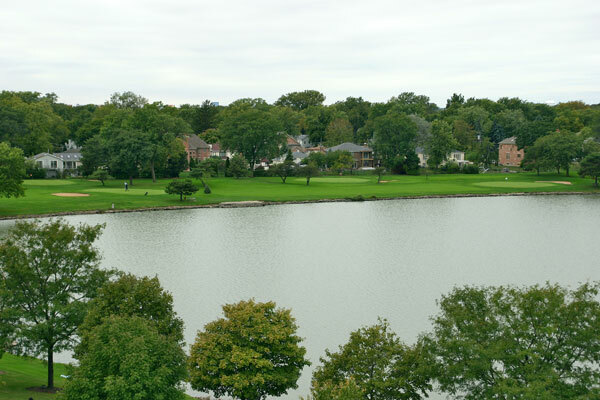 Lake Park is home to a number of species of Illinois wildlife, all of whom are able to forage for food and sustain themselves on a natural, healthy diet. In particular, our darling ducklings and goslings quickly grow to full-size, hungry adults. Bread crumbs and popcorn are NOT good wildlife food. If you feed them, these birds lose their food foraging instincts as well as the need to migrate which results in over-population, overcrowding, and a shortage of food and space for the animals. In consideration of the balance of nature, PLEASE DO NOT FEED THE WILDLIFE. Feeding may be fun, but it can be deadly.